H3O Water Systems specializes in irrigation and sprinkler repair, including system restorations, upgrades and maintenance. 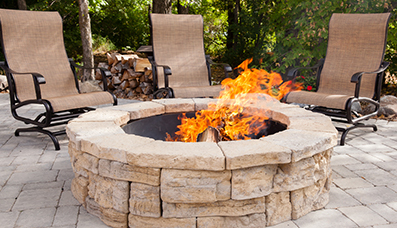 Our skilled technicians can also design and install sprinkler system in New Braunfels. We specialize in a variety of irrigation services that are designed to help you conserve water and lower your monthly water bill in the process. 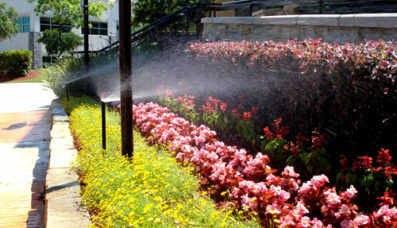 Whether you need a residential or commercial irrigation system, H3O Water Systems specialists can assist you in designing a sprinkler system that will work best for your needs, ensuring maximum coverage for your landscape. H3O Water Systems offers quality installation services that feature the best irrigation technologies for your needs. If your sprinkler is experiencing leaks, broken valves or clogged nozzles, our repair and maintenance specialists will get your sprinkler system New Braunfels working again. Maintenance is extremely important for ensuring maximum performance of your sprinkler system. Sprinkler systems may become disrupted by dirt, debris and failed components. As a result, you should establish an annual maintenance program to provide a check-up for your sprinkler system to ensure that it is always working properly. As one of the top sprinkler companies in New Braunfels, we offer a “One Stop Shop” option for all of your water system needs. 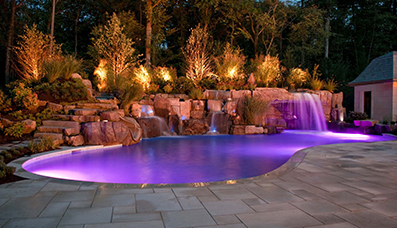 In addition to our irrigation systems New Braunfels services, we also offer pool services, splash pad design and construction, as well as sprinkler system installation, repair and maintenance. We also offer swimming pool maintenance, swimming pool leak detection, swimming pool repair, swimming pool renovations, sprinkler system installation, sprinkler system repair, sprinkler system renovations, drip irrigation installation, water feature installation and water feature repairs. 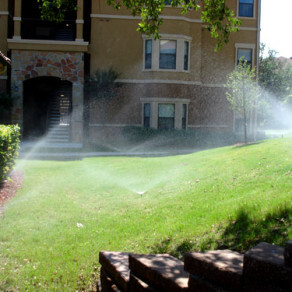 Since 2006, H3O Water Systems has serviced New Braunfels homes and businesses with sprinkler and irrigation system installation, repair and maintenance. H3O Water Systems has over 100 years of combined experience in the water industry and we are one of the top sprinkler companies New Braunfels. Request a quote or give us a call at (210) 404-9939 for immediate assistance.